Chelsea influential midfielder Eden Hazard is considered to be of the Lionel Messi mould by Glenn Hoddle, with the former Chelsea boss of the conclusion that the Belgian forward is irreplaceable. The Stamford Bridge faithful are hoping that they won’t end up in a place of having to find a suitable replacement for the club’s hottest property. Questions are being asked of Hazard’s future as he approaches the last 12 months of his contract with the Belgian midfielder not willing to put pen to paper and extend his stay at the Bridge. Reports of interest from Real Madrid will not be swept off the rug so easily, with a 28-year-old being surrounded with of the bits of gossip doing little to control the speculation with cryptic responses when asked about the transfer rumours. 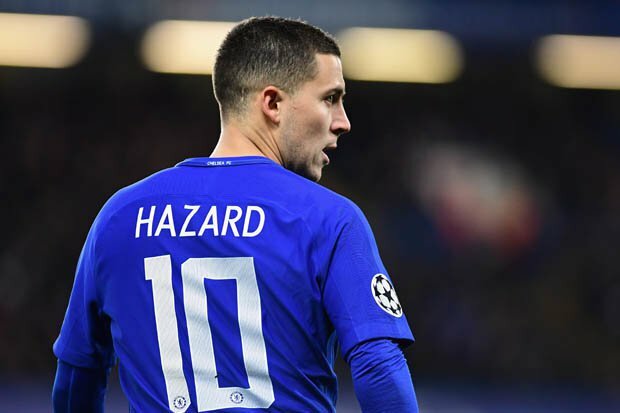 However, former Chelsea player and manager Glenn Hoddle concedes that losing such influential midfielder would be a major blow for Chelsea, with Hazard one of the few players in world football that mean the world to their current clubs. The ex-England boss told BT Sport: “If Messi hangs up his boots how do Barcelona replace him? Hazard is not in that category but how do Chelsea replace him, they can’t. “I don’t see anyone out there who can do what Hazard does for Chelsea week in, week out. I can see him in a white shirt next season and really enjoying his football there. “Next week against Liverpool, he’s going to have to almost play as a defender and you don’t get that in Spain. Personally, I hope he stays. “He is enjoying his football at Chelsea because if he wasn’t playing in a team that passes the ball and move around he would have left already and I think that’s what’s pulling on his heartstrings a little bit.